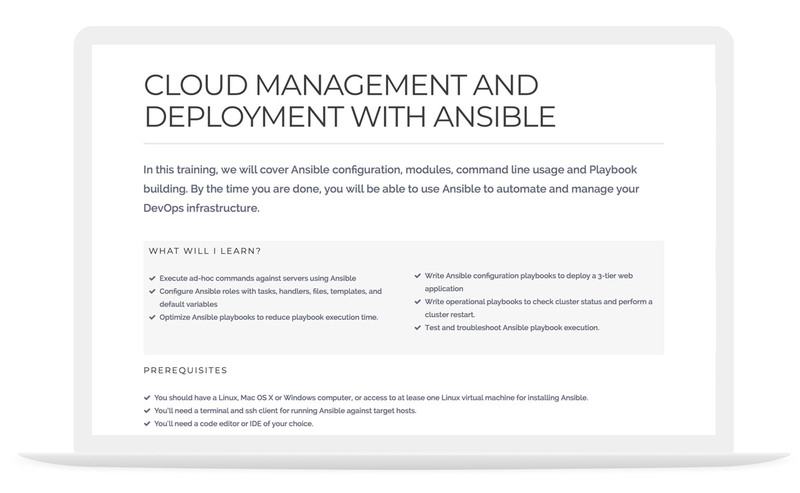 We train professionals to gain control over their Software Delivery Pipeline and Configuration Management. Over the last year we helped companies succeed at all stages of Kubernetes adoption. We took these real-world experiences and crafted a set of scenario based training courses, enabling DevOps teams to automate the process of software delivery and infrastructure changes. All our trainings and coachings are target-oriented and hands-on. We always make sure that the content is highly practical and relevant for daily work. Therefore, our trainers are all practicing software developers and -architects, who daily apply what they teach and are passionate about sharing their knowledge. 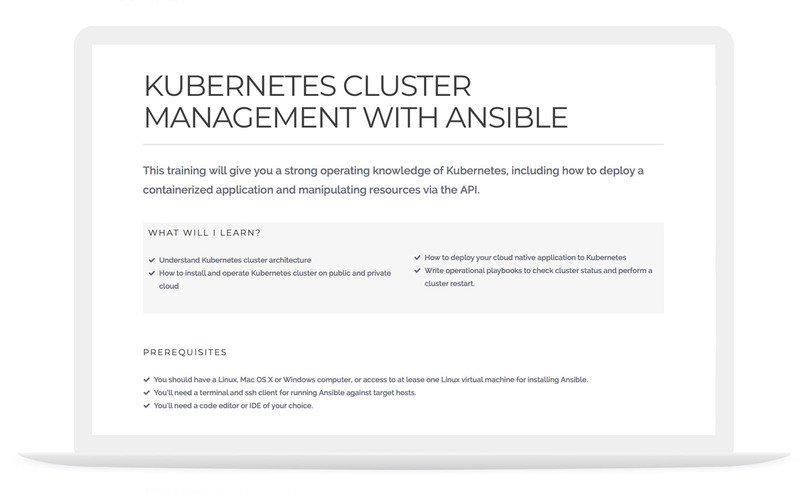 This training will give you a strong operating knowledge of Kubernetes, including how to deploy a containerized application and manipulating resources via the API as well as understand Kubernetes cluster architecture. specific roles, tasks and responsibilities. We offer custom trainings for any specific roles, tasks, and responsibilities to meet all training needs, no matter what skill level. We invest in research to better understand learners, their goals and motivations, and the impact of learning on their lives. We provide everything your team needs to learn new skills and get hands-on experience, in in-house trainings and open courses.